Limited Edition T’s available exclusively at Waipio, Koko Marina and Haleiwa locations. Served Fresh Daily in a Bento Box! These fun keepsakes keep the Aloha going wherever you are. Shirts feature high quality screen printing, machine washable fabric, with a Fatboy’s logo on the back! Unisex sizes from Small to 2XL. 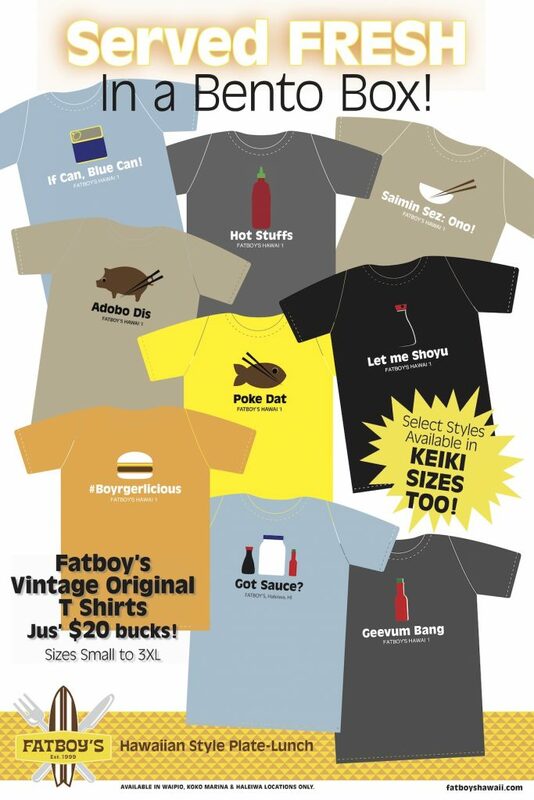 And Keiki sizes too on select styles!